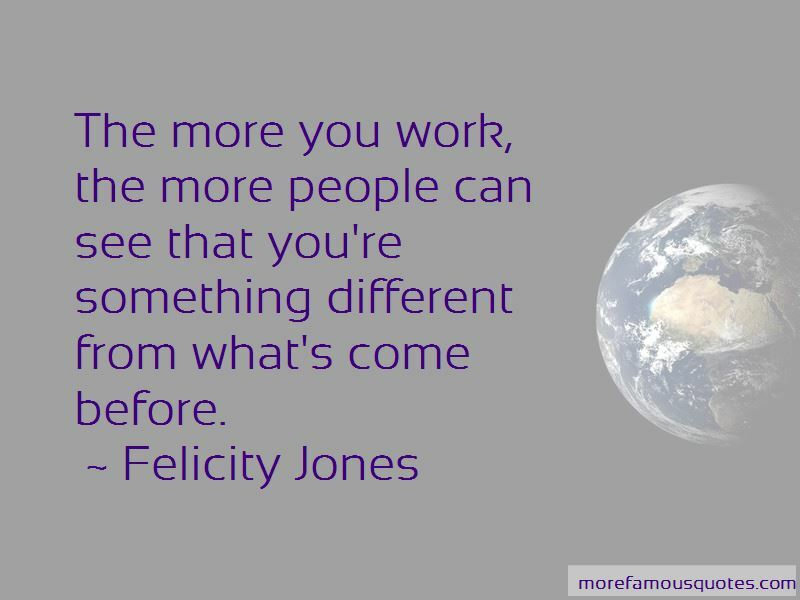 Enjoy the top 47 famous quotes, sayings and quotations by Felicity Jones. There's so much of a desire in the entertainment industry for newness, a desire to build somebody up and then treat them as old news within six months. I think you'd be naive if you didn't try to hold on to your own way of doing things. Of everything I have done, 'The Archers' always gets the most excitement; there's a sort of uncontrollable joy from fans of the program. I don't like when I look too cluttered. I think, as an actor, you're always traveling. There's a sense of dislocation sometimes from home. When you're a young actor, there's this pressure to rush. But I hope to be doing this into my sixties and seventies, so I'd prefer to take my time. You just have to take these opportunities when they come along. They're not that frequent; you'll get a really good script, oh, maybe once a year if you're lucky. I think you're attracted to things that are different from yourself in a character because it's more interesting, and you get to play out a fantasy version of yourself. I'm a masochist in some ways. I look for things that I think I can't do, then, for some bizarre reason, I really want to do them. Maybe one day I'll take the easy route. I always hope for roles that have some depth and that I can get my teeth into and that will challenge me, in some way. When you're believing in the person that you're playing, you feel protected. 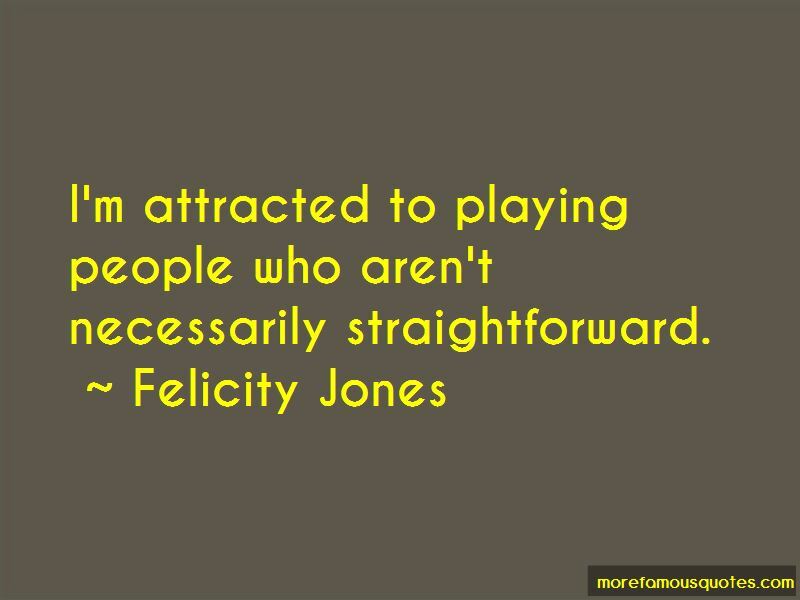 It's about being true to that person you're playing. 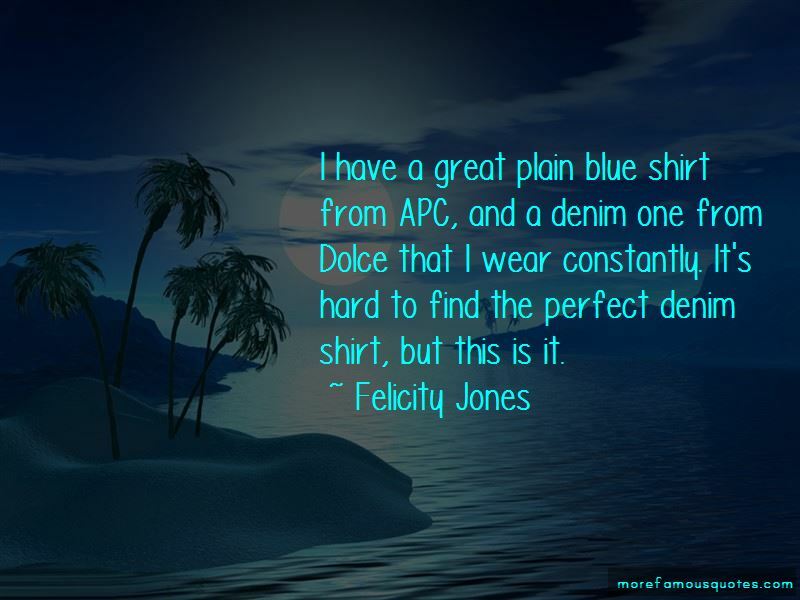 Want to see more pictures of Felicity Jones quotes? 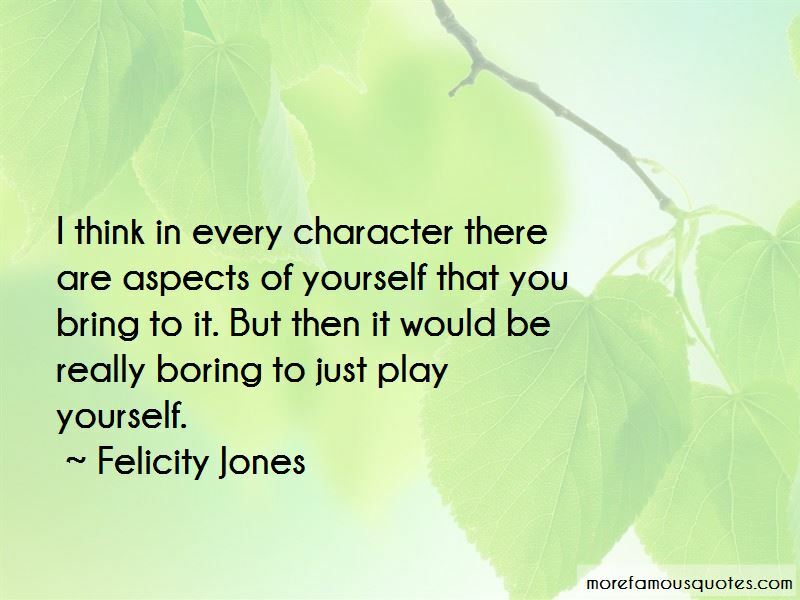 Click on image of Felicity Jones quotes to view full size.